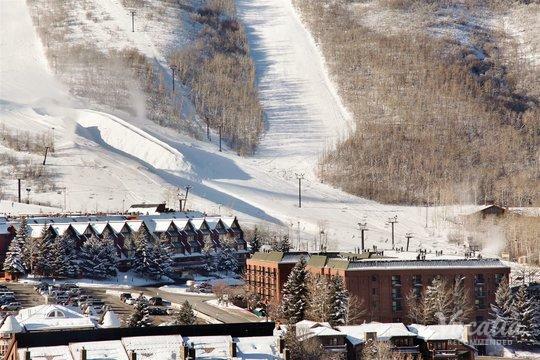 Park City boasts 7,000 acres of top-rates slopes, so it's no surprise that this mountain destination attracts countless eager skiers and snowboarders every winter. You too could indulge in this world-class skiing without breaking the bank, because Vacatia can help you book your affordable accommodation in this beloved mountain town. There are a number of two-star resorts in Park City that you can call your home away from home in the Wasatch Mountains, and Vacatia can help you sift through this selection until you find the perfect vacation rental for your mountain getaway. When you work with Vacatia, you can book one of the best 2 star Park City resort hotels available so that you can enjoy a fantastic mountain vacation for an affordable price. Vacatia provides travelers with high quality vacation rentals in some of the world's most popular destinations, such as Park City, Utah, where you are sure to create lasting memories during your upcoming vacation. There's never a dull moment in Park City, where visitors can enjoy countless outdoor activities as well as great dining, shopping, and nightlife. Whether you are traveling to Park City with your entire family or just with your significant other, you can plan an unforgettable vacation without breaking your budget when you work with Vacatia. You can sift through Vacatia's selection of cheap resorts in Park City until you find the perfect spot for your upcoming vacation, and you can rest assured that your Vacatia rental property will be both comfortable and spacious. Vacatia combines the comforts and conveniences of a home with the services of a resort, which means you will be able to make use of your own fully equipped kitchen and enjoy your favorite resort amenities during your next trip. If you want to feel right at home in the Wasatch Mountains, simply rely on Vacatia to help plan your Park City getaway. Vacatia can help you find an affordable, quality vacation rental in this desirable mountain town so that you can enjoy all that Park City has to offer. Park City, Utah is best known as a ski town thanks to its two world-class ski resorts, Park City Mountain and Deer Valley. Every winter, skiers flock to Park City to experience some of the best slopes in North America and the overall charm of this mountain town. Regularly ranked as one of the prettiest towns in the country, Park City is a treat for the eyes. Not only does it boast natural beauty around every corner, but also its historic Main Street will instantly win you over with its incredible charm. Park City isn't just a great destination during the winter months, however, because this mountain town boasts plenty to do and see during the summer as well. No matter when you choose to visit Park City, you can ensure that your vacation is one you'll never forget when you book your accommodations through Vacatia.